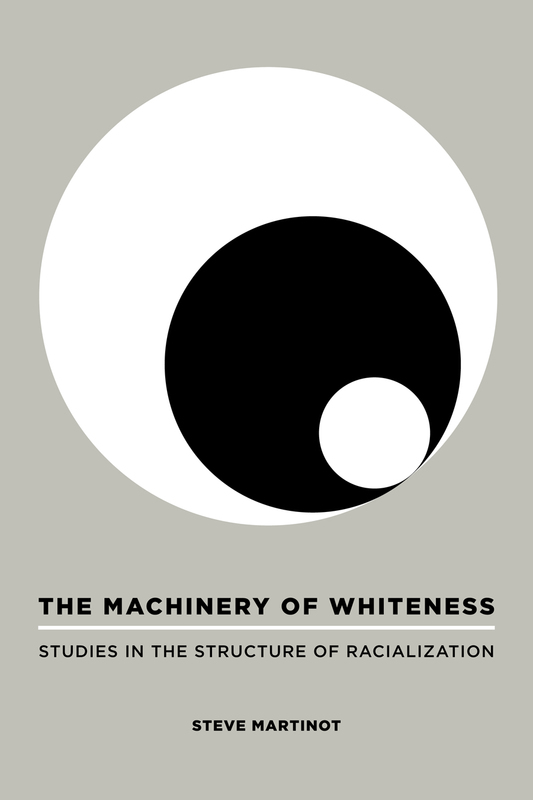 In this blog entry, The Machinery of Whiteness author Steve Martinot explains what prompted him to write a critique of the structures of whiteness and how those structures produce racism in the United States. When, in the 1980s, federal statute and court decision required that charges of racial discrimination had to prove intent, they created an almost unbridgeable chasm between the sources of racial oppression and discrimination and their effects. It was a particularly insidious move on the part of the government, because it essentially guaranteed the reconstruction and flourishing of the culture of white supremacy, after it had been weakened and eroded by the pro-democratic ethics of the civil rights movements. In effect, a source of legitimacy for white racist actions for white people could be located precisely in their the ability to deny that they were racist. Today, the ability to hide racialized intent is part of what allows the Tea Party movement, for instance, as a white populist movement, to blithely claim it is not racist, as did the militia movement in the 1990s. Yet Ron Paul, one of the ideological leaders of the Tea Party movement, began his career at the shoulder of David Duke. Indeed, his own son recently tore the wrapping off the package with his harsh words about the Civil Rights Acts of the mid-1960s. This social inversion of the logical has always been an important element of the cultural structure that I am calling the structure of racialization. Previous forms operated to similar effect, though in different registers. The anti-democratic nature of Jim Crow laws were legitimated as democratic because they were passed by a white majority. And earlier, defenders of slavery claimed the US was the freest of societies because it dominated most absolutely. It is the normativity of white racist actions and feelings that continually astounds as it resurges. Whether in the form of the KKK in the years following the federal government’s establishment of Reconstruction in the South, or the White Citizen’s Councils organized in the immediate wake of the Supreme Court’s desegregation ruling (Brown vs. Board of Education), or today’s Tea Party, that normativity induces forgetting that these white supremacist upsurges represent something that threads its way under the surface throughout the entire history of the US. They appear periodically like dolphins at the surface of the sea whenever that white supremacy needs to take a breath. What the Dred Scott decision of 1856 did for the sanctity and hegemony of white society against the pro-democratic ethos of the abolitionist movement, the repeal of affirmative action at the behest of a white populism did for it against the equality fought for by the civil rights movement. it) with two problems. One is how to tie this underlying white supremacy and its forms of populism to its institutional expressions, such as the two party monopoly of political space, the rise of the prison industry and racializing police operations, US interventionism in the global south which have always been able to take domestic popular support for granted (Vietnam, Angola, Nicaragua, Aghanistan, Iraq, etc. ), and ultimately that strange phenomenon, corporate personhood and corporate citizenship. The second is how to see the underlying structures of racialization that form the matrix for those connections, and condition the operations of those institutions, as well as the normativity of their actions. Those structures guide the cultural processes by which whiteness reconstitutes its political and social dominance, a dominance so normal to it that it can even think of such dominance as democratic. In order to become proactive against them, in the interest of an ethics of democracy, we have to be able to discern their form and contours as they lurk there under the surface. It is as a step toward that project that I wrote the book, The Machinery of Whiteness.